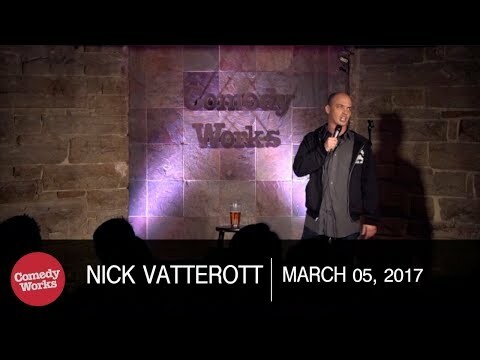 After being named one of the “break-outs” at Montreal’s Just for Laughs Comedy Festival by The Hollywood Reporter in 2010, Nick Vatterott’s comedy career took off. Nick has performed on Conan, Late Night with Jimmy Fallon and has a half hour special on Comedy Central. Nick was a producer, writer and performer on Comedy Central’s stand-up sketch hybrid show Mash-Up, and sold the project Manimation to Fox's ADHD with co-creator T.J. Miller. Nick has been called “one of the most dynamic performer’s today” by The Laugh Button. He has his own podcast called The Nick Vatterott Show, where each week Nick can't make it and some "character" takes over the show. Nick has also had correspondent work on The Big Ten Network and is currently writing for The Gorburger Show on Comedy Central with T.J. Miller.